Regular dental cleanings and good dental hygiene habits help prevent dental problems, but if a problem ever does arise, at Bozeman Dentistry near Belgrade MT, we can fix it with our restorative dentistry services. Our restorative dentistry services offer our patients meaningful care that can help give them back a full, functional, smile. If you’ve suffered from tooth damage, or decay in the past, don’t lose hope. We offer a wide range of services that are specifically tailored and dedicated to fixing dental problems. Even if you’ve completely lost a tooth due to accident or misfortune, we can get you your smile back. Dental Crowns | A dental crown is used to cap and protect a decayed tooth from cavities and further damage. Our dental crowns are crafted from the finest quality of porcelain and perfectly mimic the color and translucency of your natural teeth. Our crowns are completely comfortable and help keep your mouth healthy and strong. With a crown, you can keep teeth that have become decayed and help protect the tooth roots under the surface of your gums. Dental Bridges | A dental bridge can be used to replace missing teeth using our handcrafted porcelain dental crowns. Using crowns, Dr. McCormick will create a row of attached teeth that can be used to fill in the gaps in your mouth. A dental bridge is created by attaching crowns to the patient’s teeth that are adjacent to the gap in their mouth. nce the crowns are attached, crowns are used to fill the gap in your mouth by cementing them to the crowns attached to your adjacent teeth and the dental bridge is complete. Dental Implants | Dental implants are synthetic tooth roots that can be used to create stunning, perfect tooth replacements. Dental bridges will replace the outer portion of your tooth and allow you to enjoy activities like speaking, chewing, and smiling again. 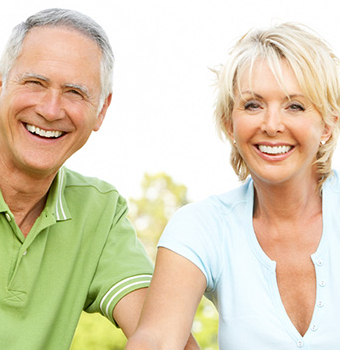 Dental implants replace both the inner and outer portion of your teeth. They make your smile full again, while they simultaneously keep your jawbone healthy and strong. Our dental implants are made with a high quality titanium alloy and are built to last for the rest of your lifetime. To find out more about our services and restorative dentistry in Bozeman, call us at our office today.